A number of years ago I had a summer faculty fellowship at NASA’s Johnson Space Center. While there, I had the opportunity to visit the robotics lab, where NASA and academic collaborators were designing a robonaut with artificial intelligence. The goal was to create a robot that could help astronauts make repairs to the space station during space walks. 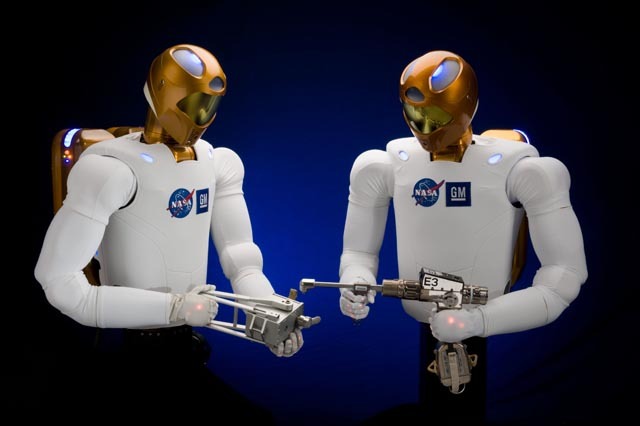 The researcher demonstrated the robonaut’s capabilities for us, ordering it to hand him specific tools. Amazingly, the robonaut could “look” at several tools, choose the correct one, and hand it to the researcher. I was impressed–but then the researcher pointed out something even more incredible. Not only did the robonaut know which tool to choose, it also knew that if it picked up the tool (such as a hammer) by its handle, it would be offering it to the astronaut in a way that would make it less helpful. The astronaut would have to grasp the top of the hammer, rather than the handle–the hammer would not be immediately useful. Because the researcher had spent time thinking about the application of his efforts, the robonaut was designed in a way that made it much more useful to astronauts. The robonaut knew to offer the tool so that the astronaut could grasp the handle. Law students can learn a lot from the robonaut. What’s important in your work is not just what you put into an exam essay, outline, brief, or other writing assignment–it’s also important to consider how that information is presented to the reader. You should always keep in mind your audience when you are writing, and what that audience needs from you in order to find your writing helpful. That’s one of the reasons why law professors tell students to use the IRAC/TREAC/CREAC formulas as an organizational approach to legal writing. The more that you keep in mind your audience when you are writing, the more you will give the reader what he or she needs to follow your legal arguments and analysis. Law school outlines work in much the same way. You can spend countless hours putting together an outline for a course, but if the information in that outline is not organized properly it is only so useful. Instead, when creating your outline, you should think about how you might apply information from that outline to an exam. If you organize your outline with its application in mind, you will complete exams more efficiently and effectively. So what do I mean by this? Because law students read and brief cases for most classes, there is a natural tendency to organize outlines around cases. But this is not how you would use this information on the exam–instead, the first thing you would need is the key legal rules, principles, tests, or policies that are illustrated by these cases. Analogizing facts in an essay question to facts in a case you read may be a part of your analysis, but first you must discuss the applicable law. If you organize your outline first around legal rules and then use cases and hypotheticals to illustrate those rules, your outline will function like the robonaut–providing you with course information in the most helpful way.